When I found out about a new exhibit of African textiles and baskets I knew I had to go. 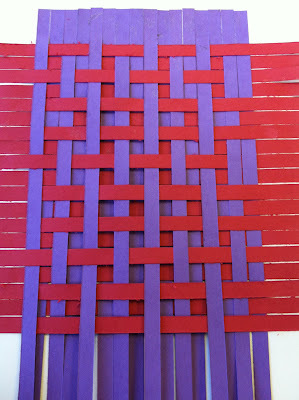 I was in the middle of the first flurry of exploring mathematical paper weaving inspired by Patrick Honner's guest post over at Moebius Noodles. 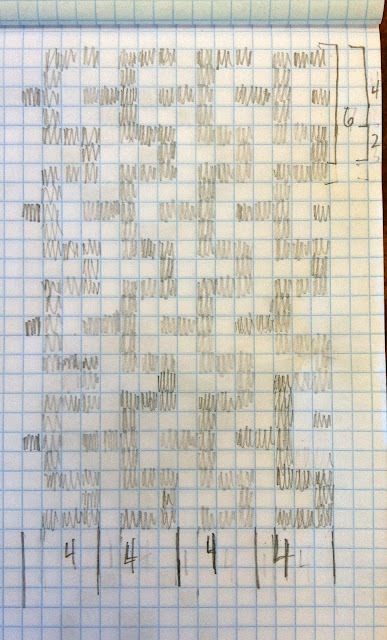 At the time, I was having fun experimenting with warps made from various combinations of multiples as well as the different patterns created by a weaving algorithm and its inverse, and using Fibonacci numbers to create interesting designs. So, a chance to see traditional, often geometric, weaving designs up close and personal was definitely something I did not want to miss. 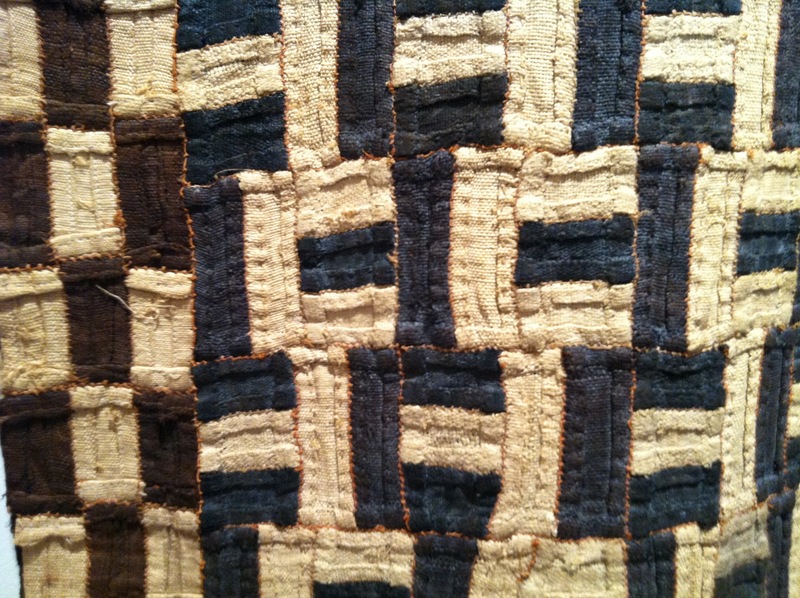 The Woven & Constructed exhibit was fabulous. It was something else entirely to see these incredible, LARGE pieces hung with care, side by side, ceiling to floor. Photos are one thing, but these pieces had a presence that is hard to describe, but felt by everyone in the gallery. Over the next few weeks I will be working on woven paper designs inspired by the motifs in some of my favorite pieces from this exhibit. Here is my first design which is, I realized after the fact, inspired by a design that is pieced rather than woven. 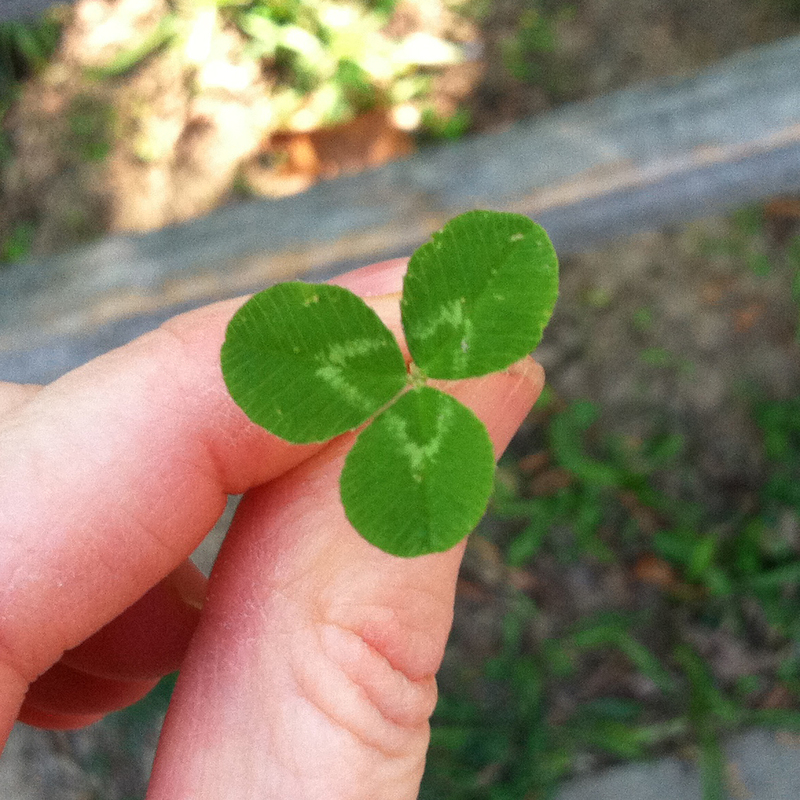 This may have been why it was so hard to weave! And here I worked to graph it out and figure out the basic pattern. The weave pattern was 4 and an inverse of half (basically), and the warp was built on multiples of 4. 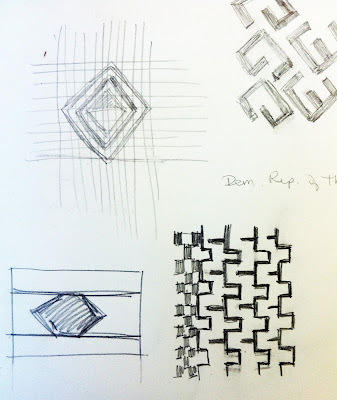 Oh my gosh, it was SO hard to keep track of the six individual lines of weaving; I had to start over a couple times. Working with slightly different paper also slowed me down a little. I had decided to use 1/4" strips instead of 1/2" so I could get more iterations of the design in the piece. I liked the thinner strips but will probably like them better cut from colored copy paper rather than this high-end construction paper used here. 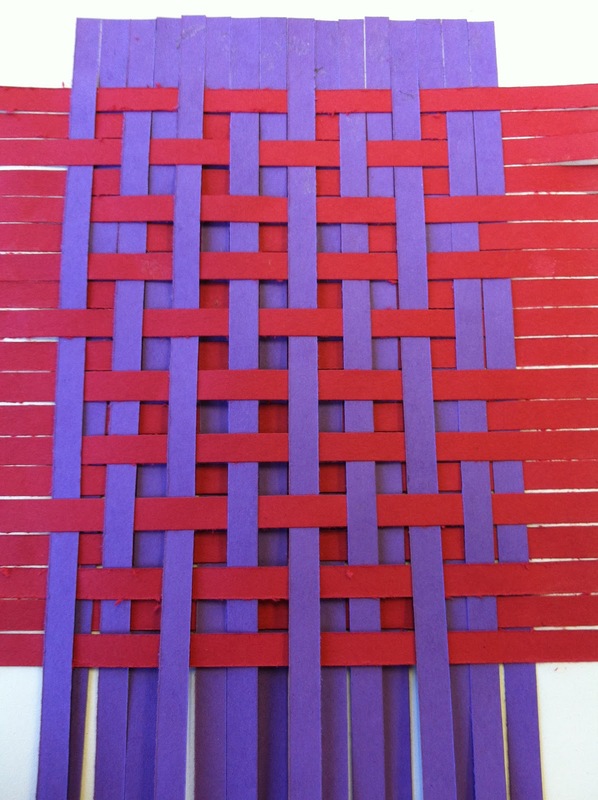 I am really enjoying this dual artistic/mathematical inquiry through paper weaving. It's easy and satisfying to have an idea and finish a piece in a short amount of time. And, every time I finish one piece I have questions that lead me right to the next, but different, piece. It's an exhilarating feeling, honestly. 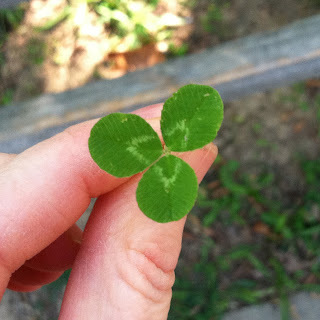 This is exactly the kind of work students and I do in Math in Your Feet and I feel certain that this kind of double inquiry can be similarly structured for paper weaving, even as early as first grade. What I find fascinating about this little project is that I used a different set of skills today than in previous weavings. Compared to my previous efforts, there was a lot more analysis and a lot less "I wonder what would happen if...?" kind of thinking. If I had to choose, I'd probably pick the "I wonder.." approach, but I can appreciate how reproducing other people's designs can inform both my design process and my mathematical understanding. It was certainly a good challenge to move a design from the inspiration piece to the paper version.